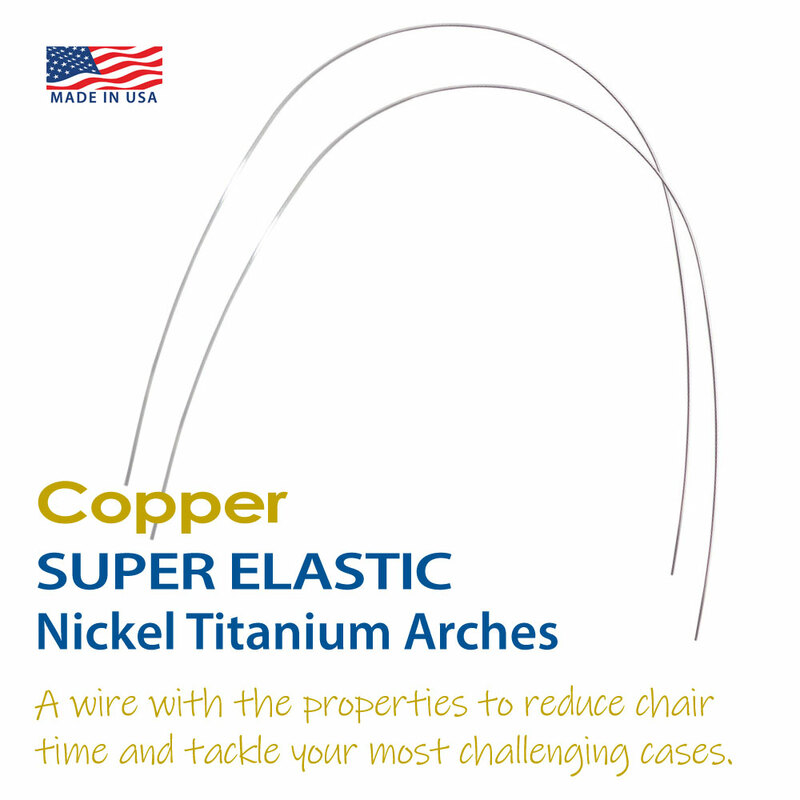 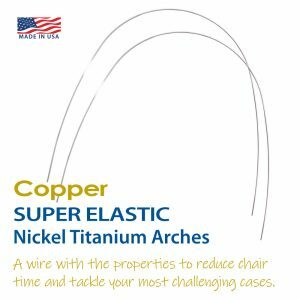 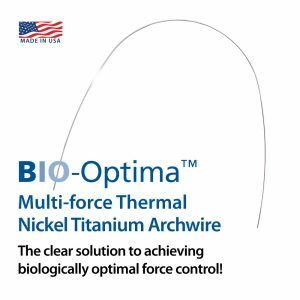 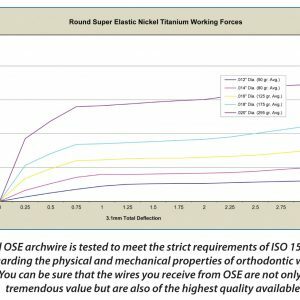 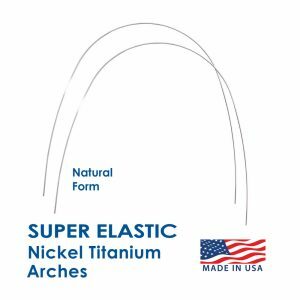 A wire with the properties to reduce chair time and tackle your most challenging cases! 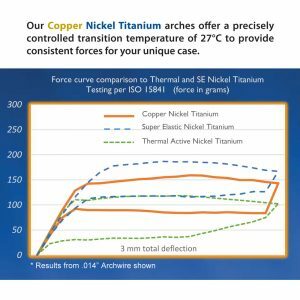 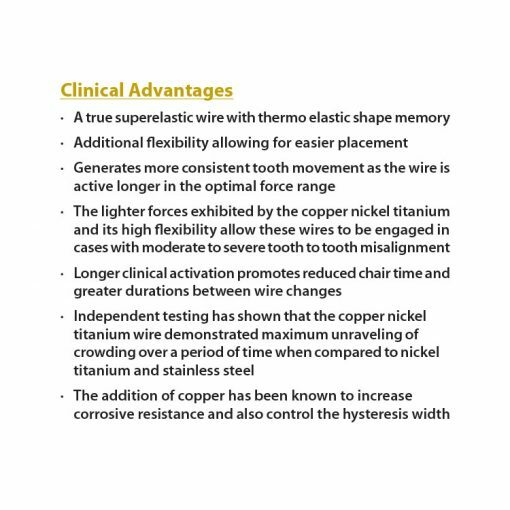 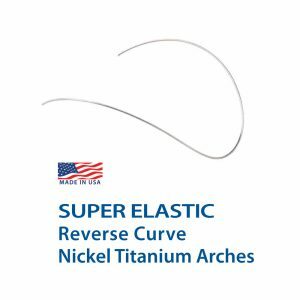 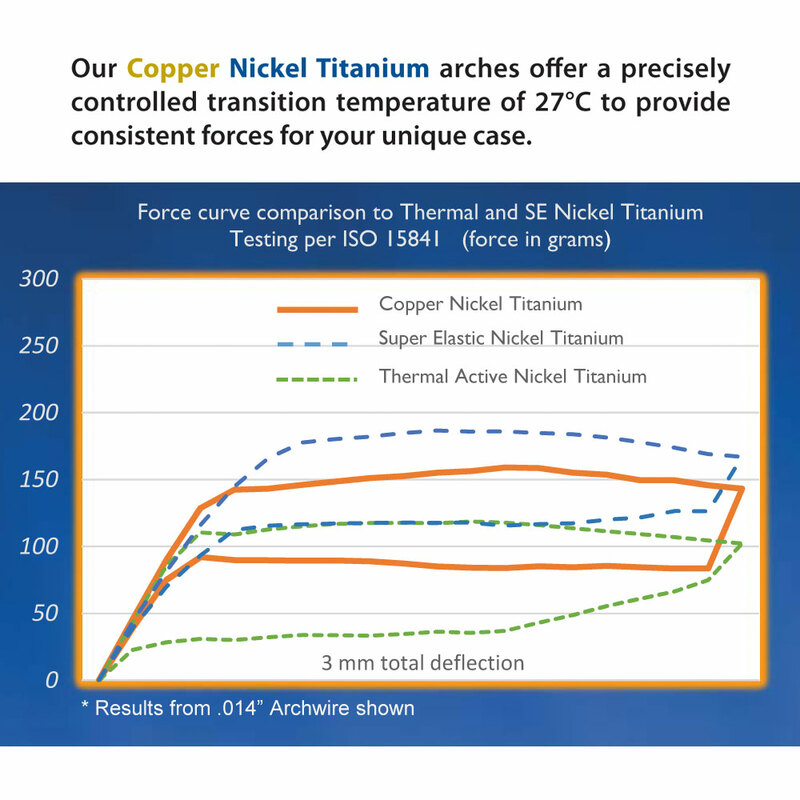 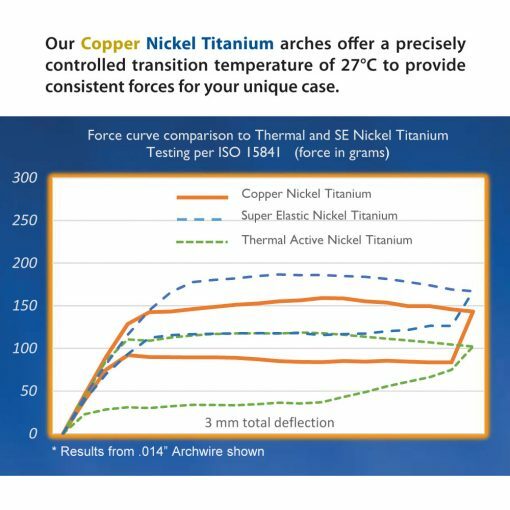 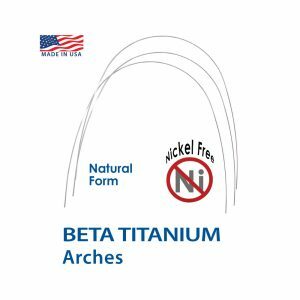 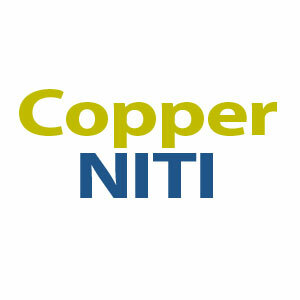 The blend of copper and nickel titanium alloy along with the advanced manufacturing process provide unique advantages that can be appreciated by both the patient and the orthodontist. 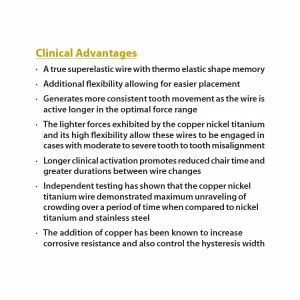 Our copper wire exhibits lower loading forces, which ease wire engagement and reduce patient discomfort. 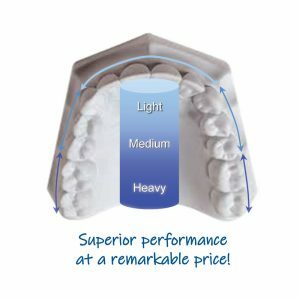 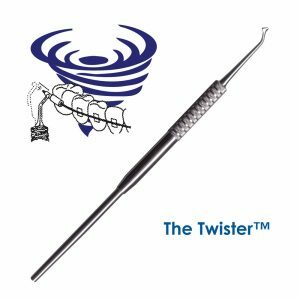 It exhibits more consistent thermal active force and maintains that constant force for a greater distance of unloading and tooth alignment. 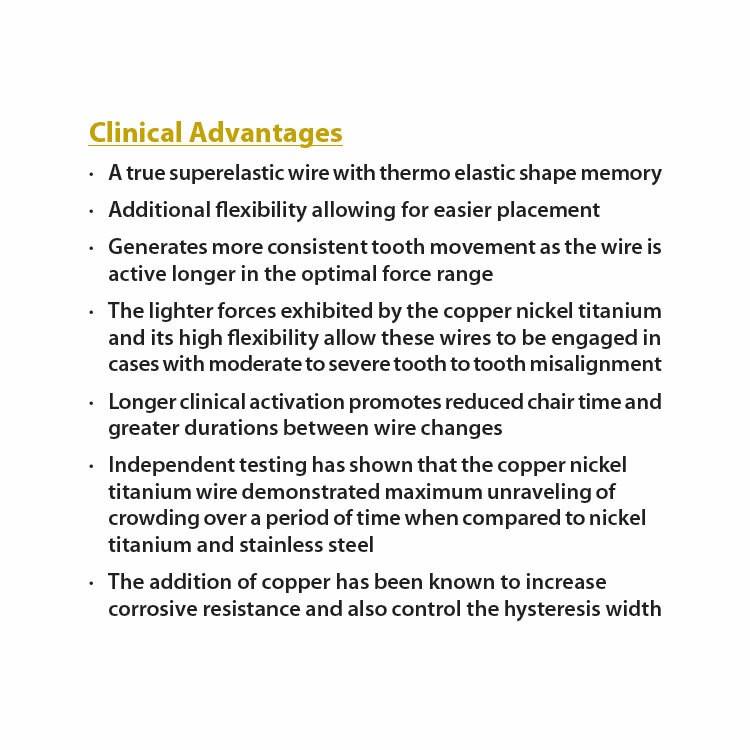 These features offer an opportunity for extended time periods between patient wire changes.